Watching any golfer competing at the best levels should show you that mastery of the short game is still one of the most important elements that need to be in place to be successful in the game. However Stats are now showing that driving distance is also a factor. How much of a factor it is in club golf can be argued but I would say it is something that most golfers give some consideration to. 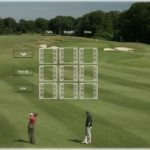 In truth optimising our improving our driving distance can come down to looking at a number of factors such as the angles our club approaches the ball at, our centeredness of impact, our equipment may be a factor, but in this article I want you to consider a few simple physical assessments to see if your body has limitations in your ability to generate the power that could give you greater distance off the tee. 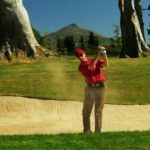 Limitations in any of these areas can have a serious impact on our ability to generate or use power in the golf swing but also compensation for these limitations can also lead on to injury, especially lower back problems. Of course this will not affect everybody but I have seen some golfers who have improved in these areas make large gains in driving distance and better scores. Standing up, rotate your chin to touch your collar bone. Keep your mouth closed and do NOT shrug your shoulder. Seated in a chair, cross your arms across your chest so that your hands are resting on your shoulders. Rotate your trunk to the right and then the left make sure you keep your knees together. Your objective is to rotate passed 45 degrees minimum however if you could aim for 60 degrees in each direction you are in a much better position to generate power. Seated in a chair with feet flat on the ground and knees bent to 90 degrees, move your lower leg out to the side attempting to have your shin angle reach 45 degrees without shifting, lifting or leaning of the body. Standing with your elbow raised to the side to shoulder height, attempt to rotate your arms backwards. Your goal is that they rotate past spine angle without your lower back arching. I would recommend that you also try this in golf posture.